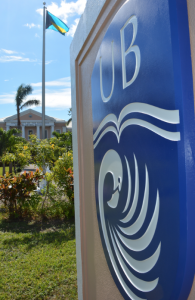 Welcome to the University of The Bahamas! You have joined the institution at a time that is arguably the most momentous since the passing of The College of The Bahamas Act in 1974. Indeed, the vision for the launch of the University of The Bahamas was articulated more than 40 years ago. Since its establishment, the institution has expanded its offerings to include not only undergraduate, but graduate degrees, at first in partnership with international universities, but then on its own, with the introduction of the Master of Business Administration, and subsequently the Master of Science in Reading with Inclusive Education, with plans for additional degrees on the horizon. Still, given the nature of the breadth of offerings, ranging from the traditional arts and sciences programmes to the professional programmes, including such majors as nursing, teacher education, business and pre-law, undergirded by the core liberal arts curriculum, I consider myself most fortunate to have been called upon to work with the faculty of the University, to build, to solidify and to expand the foundation of an institution of which we can all be proud. We owe that to ourselves and we owe that to those who toiled so hard before us to keep the dream alive. It is my belief that UB faculty, staff and administrators alike, stand ready to embrace challenges of the future and to align three very fundamental priorities which all institutions of higher education must encompass — excellent student learning outcomes; affordability; and financial sustainability. While adjusting to a rapidly changing society, institutions like University of The Bahamas must not only ensure that students exit their classrooms, research laboratories, field sites and environments with skills that best prepare them to embrace the 21st century, as well, they must nurture and encourage innovative thinking and critical mind-sets that result in graduates able to solve the most pressing challenges of today, nationally, regionally, and indeed globally, pointing up the importance of informing a National Development Plan. Ours is not a simple task, nonetheless it is one, in my view, that we must undertake – it is after all our responsibility as members of the academe; it is our collective charge. Ours is the task of forging ahead to identify, craft and utilize best practice principles and adopt and/or adapt to fit our particular reality, our University of The Bahamas. This is a national, regional, indeed global assignment that has huge implications and is a goal worthy of attainment. I call on each of you to roll up your sleeves with me as we create the higher education institution of which we are all proud. 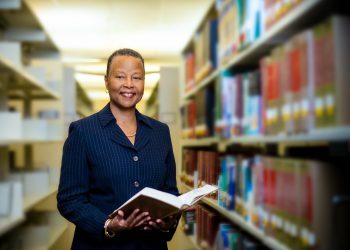 The time is now to renew the commitment to the academic enterprise at the core of all higher education institutions – a commitment to teaching, research and service. The time is now for faculty, staff, and administrators alike of the University of The Bahamas, to commit to nurturing and mentoring a new-brand of university graduate, a global citizen, a next generation of stewards of this world that we share. Such efforts at this juncture in the institution’s evolution, given its establishment over four decades years ago, are critical now even more so than in 1974.